Every medium has its novelty. That said, so did radio. I say this in the past tense simply because of the cluttered frequency. The differentiating factor between radio units is only the tag line that attaches itself near the logo. In reality, they are dishing out exactly what the other station is doingai??i? ?only serving it differently. The content, however, remains the same. You listen to the same songs; every breakfast show or an evening slot starts and finishes at the same point, the same advertisers are everywhere, and videos on social media generally carry similar content with nothing special to offer, point towards the same direction if not being totally pointless. In Chennai, stations need to rework their music policyai??i? ?something which should not be looked like a constitution. Well, constitutions are also amended, so why not programming related methods? 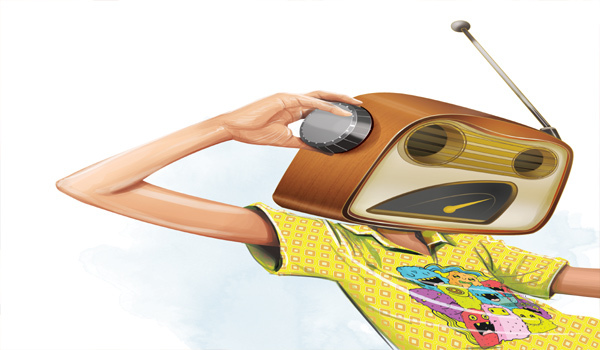 To keep radio stations breathing and evolving, one needs fresh ideas and minds. Iai??i? ?m not a fan of a radio station when I know that a few people decide what goes on-air. Itai??i? ?s a collective approach that makes the station healthy, thereby delivering a definitive and fresh sound. In the recent past, the best excuse for a radio unit not to have a marketing team is social media. Social media is looked upon like a family member who could do anything for you. Sure, it increases the latitude, however visibility and presence at ground zero is what makes a station a cityai??i? ?s favourite. Every radio station is on a viral race. There again, because each one is competing with the other, they also are running on the same track, which does not allow the differentiation they would like to achieve. Itai??i? ?s a default design flaw which can easily be rectified. Taking feedback from listeners has been forgotten altogether. They are the consumers and an opinion poll or suggestions from them might throw light on that path of ambiguity. ai?? ?We Know it Allai??? shouldnai??i? ?t be the attitude of brands that own frequencies on the medium. If this is taken care of, then every station would have a distinct sound to it. ai??i?? talkingradio@gmail.com . The writerai??i? ?s views expressed here are entirely in his personal capacity.